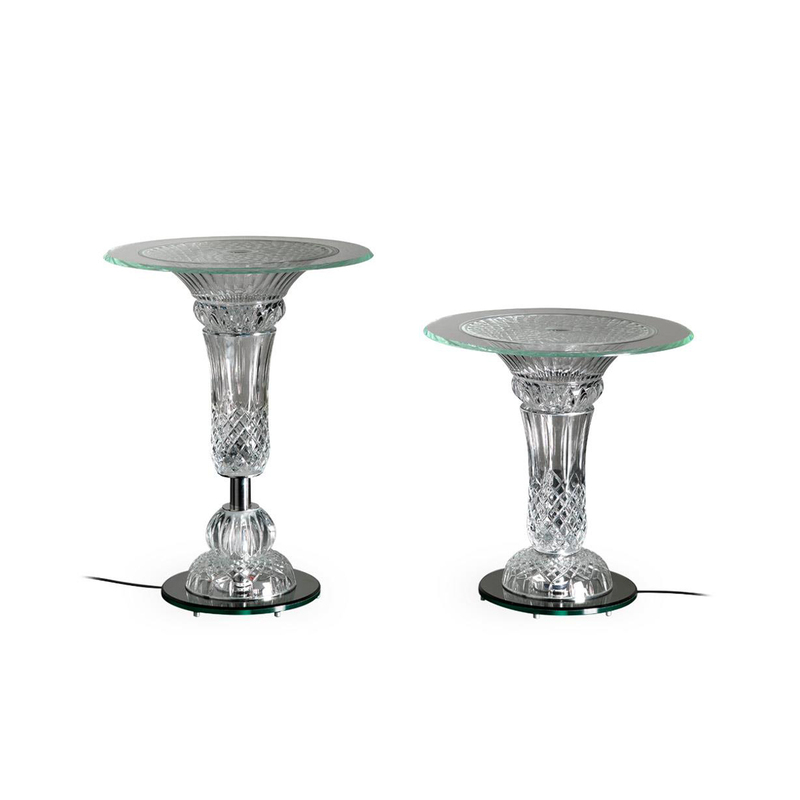 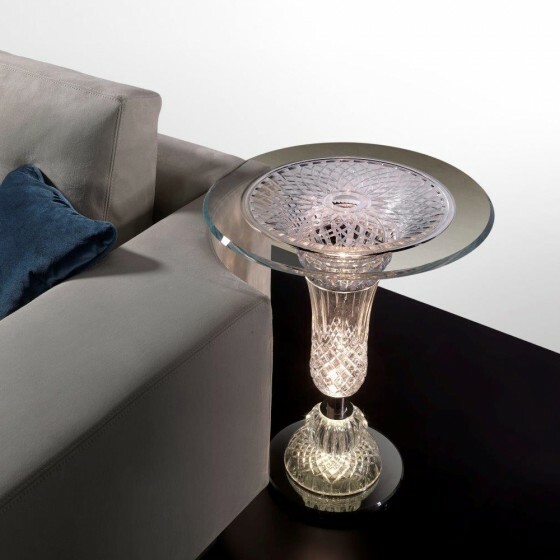 Glamour Italian Palazzo Ducale Side table made of various elements in an exclusive engraved crystal and a plinth in mirror glass. 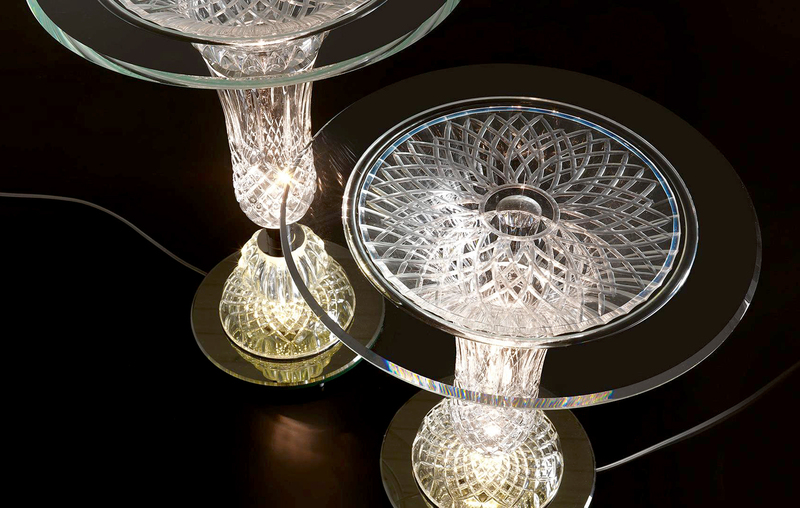 Top in extra clear glass, 3/8” thick, with 45° bevel and with engravings. 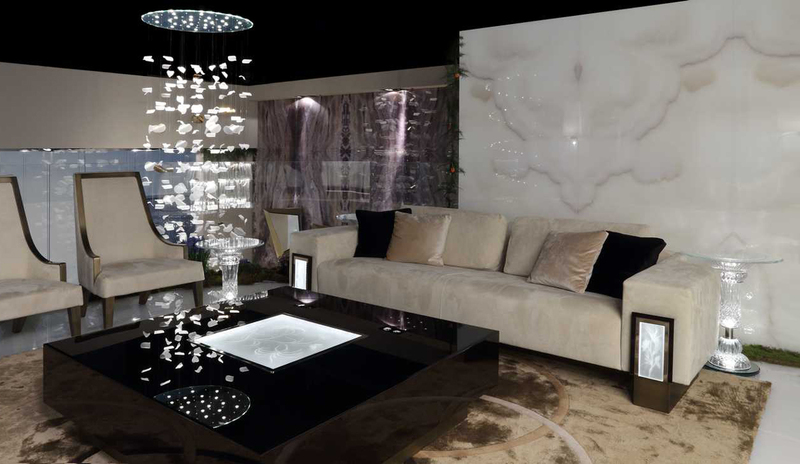 With LED lighting, creating beautiful visual effects. 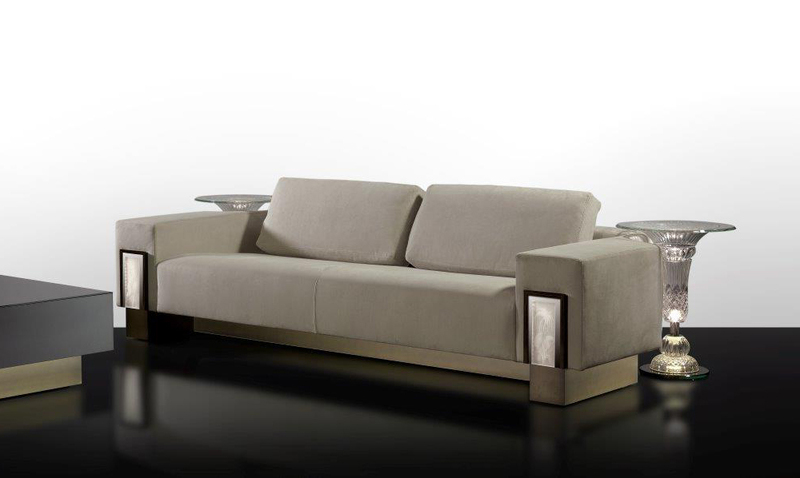 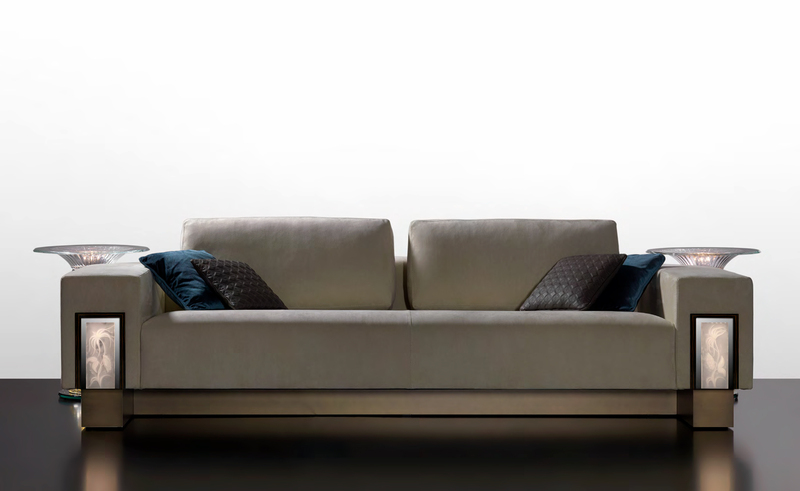 This Italian high-end Furniture is perfect for sophisticated living room areas. 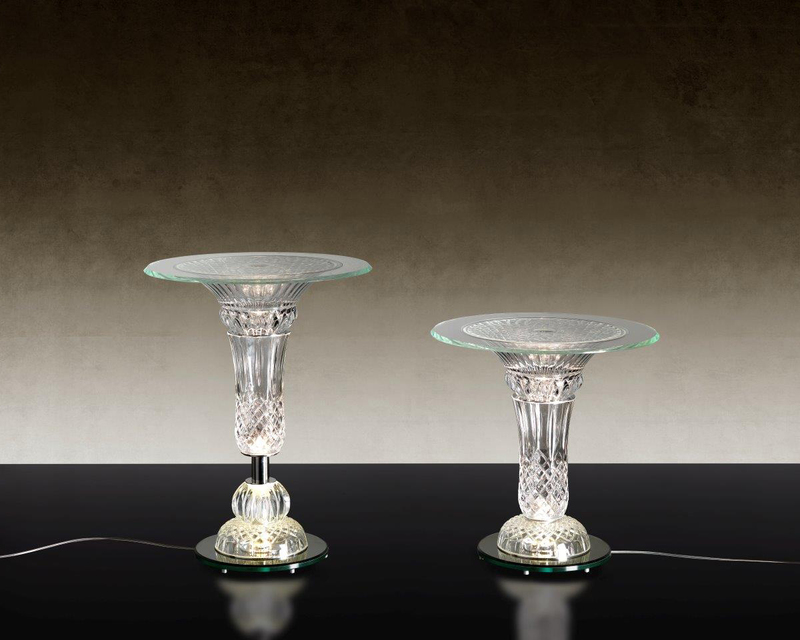 Ceiling lamp with mirror glass support with pendant leaves of 3 different sizes, in handmade curved ..